Here is a too-common story: Things are going well with your horse; you have been learning and progressing. He is sound and you are confident. You are both happy. You decide to put some competitions on the calendar. You are excited. You get laser focused. Your rides get more detailed and precise. You spend many weekends at shows, and start keeping him in a stall more so he doesn’t play around and get hurt. You are doing well so you start entering more classes and going for championship or year end points. Your instructor suggests some different equipment to make it even easier to get a better result. He’s feeling a little tired so you add some supplements. He starts kicking out when you pick up the canter, and ‘getting after him’ doesn’t seem to work so you try a chiropractor, body worker, and then a new saddle. It’s a competition so he can’t get away with bad behavior so your instructor starts getting on to ‘tune him up’ for you before your class. He colics at the next show. You are losing confidence and doubting that he is the right horse for you. He starts pinning his ears when he sees you. It’s not fun anymore. You are working harder and harder to get less and less out of him. It’s the end of the show season and your horse is sore, and has ulcers. You feel like you can’t ride and wonder what went wrong. This scenario can happen if we lose sight of the big picture. The highly specific focus we need to for performance can work against us unless we remember to balance out our horse’s life. If you are advancing your training in a specific discipline, (whether or not you are competing), you have to remember that a horse is born a horse. They just want to be safe, comfortable, be able to move, to graze, to be social, and have enough variety to keep things interesting. We humans are the ones that made the decision that they are a ‘jumper’, ‘dressage horse’, ‘reining horse’, or ‘driving horse’. Having specific goals is a great way to measure your progress… But the goal of a horseman of any discipline is to have a happy horse who understands and can be successful doing what we chose to do with him. Top training facilities often model a very narrow focus. They may even call themselves a ‘jumper barn’ or ‘dressage barn’. Horses get little or no turn out, and always alone. Horses go from the stall to the grooming stall to the arena and back to the stall. The only thing that they ‘do’ is the sport they are in. Stereotypies such as weaving or cribbing can become commonplace. Some horses get anxious when turned out. Sadly this can be seen as ‘normal’. Students assume this is the best way to keep horses because the top professionals are doing it this way. That is not a normal life for a horse. That should be a short-term scenario, but not a long-term management style. As a horse owner, you need to take responsibility for preserving the balance of your horse’s life. Your laser-focused training sessions should be just one small part of your horse’s life. Your horse cannot balance his life himself. YOU need to do it for him. It’s helpful to have some guidelines. Here are three that may help you. Start with Happy. Know what makes horses happy and know what makes YOUR horse happy. All horses, by nature, want to feel safe, & comfortable. They want to be able to graze, socialize, wander, and investigate things. If you and your horse are happy, you can better harmonize. Take care of your partnership. 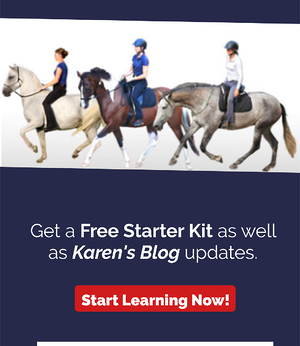 Solve the areas where you or your horse feel tension or anxiety around each other. When you can do that, you can have higher quality communication which will enable you to better apply the techniques that are necessary for your specific sport. At the end of the day you want your horse to feel that he is a happy horse that gets along with, and understands you. 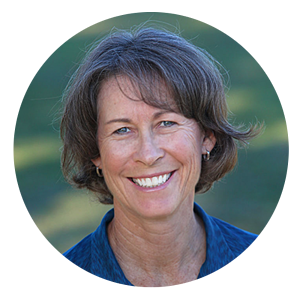 You want to be successful doing your exercises so you can be confident and progressive in your sport. Solve every problem by thinking first: Is there a way I can meet my horse’s most basic needs better? Look at how happy he and you are, and work your way up the scale. Not every jumping problem is a jumping problem. 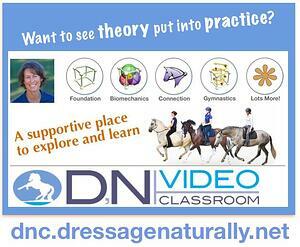 Not every dressage problem is a dressage problem. You can think of Happy and Harmony as being how he is kept, and your attitude about him. Communication is about the basics that every horse needs. These basics are things that make it easy to get him from Point A to Point B. This covers basic handling, leading, groundwork, and riding. It’s about your horse being ‘comfortable transportation’. 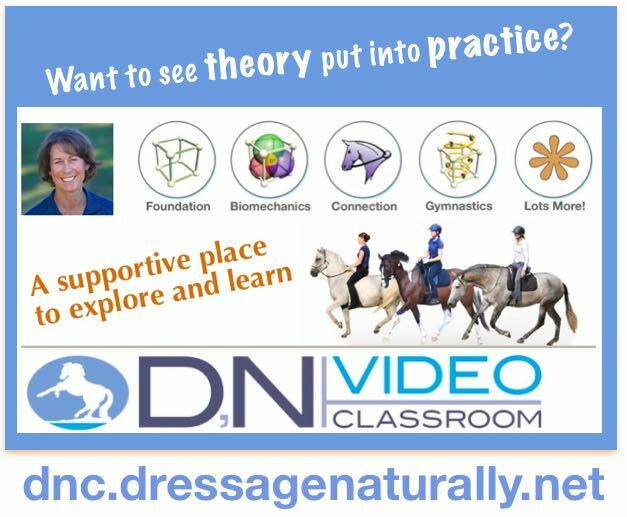 Techniques is where you take care of the sport-specific exercises that will build you and your horse’s ability to successfully complete the ‘tests’ for your sport. The top priority is the base. The lower priority is the sport. This doesn’t mean you aren’t serious about your sport, or that the sessions aren’t intense or progressive or amazing. It just means you are keeping it in perspective. If you don’t think of it this way, then you can’t be surprised if your Grand Prix horse has behavioral, performance, or health problems all the time. Do your best to see things from your horse’s perspective. Pretend your horse wrote his autobiography. What would he say? How would he describe his life with you? Would it be a comedy or a tragedy? Would it be an amazing story of personal development? I know we are not ‘supposed’ to anthropomorphize our horses, but sometimes we can play this little game in order to take a best guess at what life must be like for them. At the very least you will discover what you already know, deep down, that you need to change or improve. YOU are your horse’s life manager. He cannot do it for himself. It IS possible to have a happy, healthy horse that loves his life AND excels in his sport. You just need to keep your, and most importantly, your horse’s life in balance. No matter how advanced or specialized your horse is, these needs must be met. What does YOUR horse like to do? See if there is a way you can do more of that together!